Fast forward Recently, David Archuleta tweeted, “Opportunity is not a lengthy visitor.” He is certainly someone who knows how to make the best of opportunities. Perhaps, he was reminiscing about his appearance on Star Search in 2002 at the tender age of (going on) 12. On Tuesday night he caught the American Idol tour concert and had a backstage opportunity for a little Star Search reunion. Another young contestant, Tori Kelly, now 17 years old, posted the photos on Twitpic. And here they are as young contestants on Star Search in 2002. The show was hosted by Arsenio Hall. 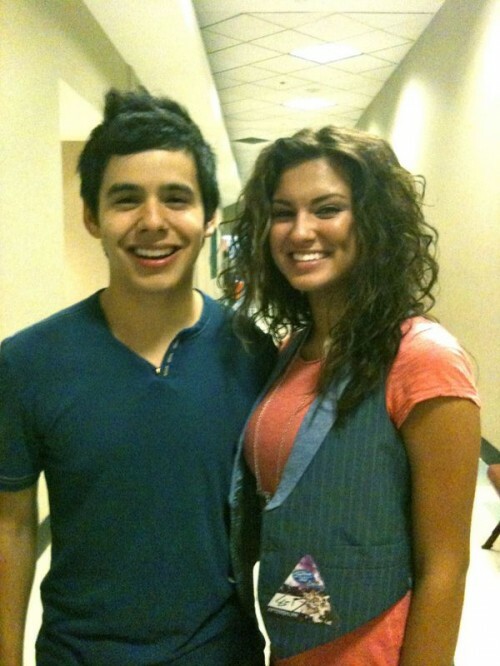 Source: Tori Kelly Twitpic with special thanks to ozarka at Archuleta FanScene for the Star Search photo and the information. 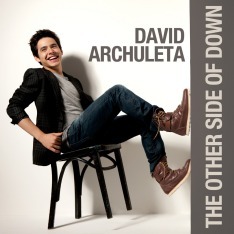 Did you miss the “Other Side of Down” photo last week? Thanks, 3cota, for posting the photos. What fun it’s been comparing these two and how they’ve changed over the years! I’d have to say that, based on these pictures, Tori looks more like she did back in 2002 than David does. David was, of course, adorable as a little boy, but his facial features have changed quite dramatically over the years. In fact, were I not familiar with the 12-year-old David, I might not be able to match today’s David to the younger one. Some child stars do not remain as good looking when they mature into adulthood. Luckily for David — and for us — he just keeps on getting more and more handsome! You are so right! David has always been good looking and he just keeps on getting better. It’s going to be such a treat to be able to continue seeing the changes in David as he grows up. Thanks for your comment Katheryn. I love comparing these pix too. And wasn’t it great that David got the reunion opportunity? He doesn’t miss a thing! This was the same day he had finished recording his next album, and we could see from the vblog that he was tired—”a space cadet,” as he said. But he still went to the American Idol concert that night. Thanks for posting these before & after images, 3cota. Thanks Minja for your input. I didn’t realize that this was the same day that he finished his next album. I can’t wait to hear the songs. David has been going strong now since he was 16 years old. I wonder what he would say about that.